under the eye it shows which you want to see and which you cannot deselect. 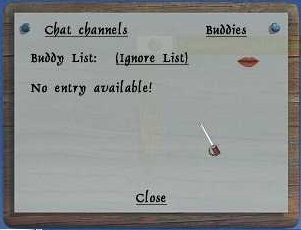 Under the mouth is shows what channel you want to chat in.More detailed description of chat here. When you click buddies you get a list of the players you got as buddies and on ignore list is the players you put on ignore. 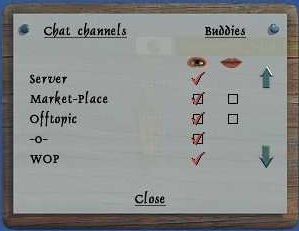 Players on ignore you will not be able to see any of their chat, in any channels.